Service — STRICTLY AUTOMOTIVE, INC.
1. Putting off Recommended/scheduled maintenance. Some maintenance items include: Checking/cleaning the battery; changing or topping off brake, transmission and differential fluids; aligning suspension; rotating tires and maintaining correct air pressure; replacing brakes when needed; and more. Recommended changes of filters helps give better mpg and lowers emissions. Maintaining proper air pressure helps with mpg, and longer tire life. Neglecting scheduled services can cause car problems, inconvenience, or expensive repairs that could be avoided or minimized. In our experience, we have found that a lot of repairs could be avoided, or done for less money, if only the owner had taken the time to read the owner’s manual and followed the factory minimum scheduled service requirements. Often, we are told that a car is the second biggest expense in our life. Doesn't is make sense to take the time to keep it running efficiently for the lowest cost? The warning lights and gauges installed in your vehicle are there for a reason. When the gauge looks different from "normal", or a warning light is on, something is wrong. In our experience, the longer you delay finding what is causing the warning, the more expensive the fix can become. What are “codes” and what does a code tell us? Today’s vehicles have multiple computers controlling and monitoring the operation of the vehicle. The “check engine light” is the method that the car uses to communicate the status of different components and problems. You can get the code “read”, for free, at many auto parts stores. So if you can get it for free, why not rely on that? We'll discuss that next. 3. Having service done by unqualified shops or trying to service your own high tech car without the necessary tools, or knowledge. Sales people at auto parts stores use very basic code readers to "pull the codes". The difference between their tools and knowledge compared to a professional service facility is dramatic. A professional shop isn't in business to just sell you parts. Rather, professional repair facilities want to fix the problem with the correct solution. Our master techs spend well over $10,000 each to acquire the necessary tools and equipment to work on your vehicle. 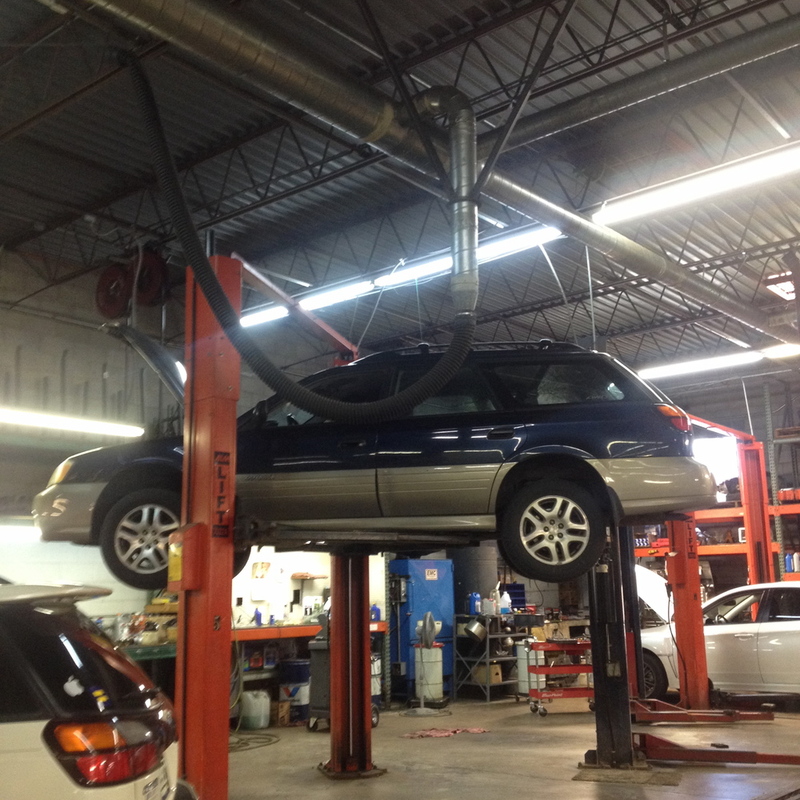 In addition, our shop spends thousands more to acquire, and update the diagnostic equipment necessary to work on today's hi-tech vehicles. 4. Not stopping when the car is overheating. Your coolant protects the engine by cooling the engine. Particularly with some engines, it is absolutely critical to stop the vehicle when a car is overheating and determine what the cause is. In the worst case, continuing to drive can lead to catastropic engine damage, or even a fire. Stop as soon as possible in a safe location and don’t drive until you have identified and fixed the cause. 5. Ignoring the necessity of changing the oil on time. Particularly if you do a lot of urban driving, you need to maintain the quantity (“level”) of the oil in your engine and the quality of your oil. The oil in your engine is like the blood in our bodies. Take care of it and it will take care of you. The auto makers give a maintenance schedule as a list of the NECESSARY maintenance that has to be done to keep your vehicle in top mechanical condition.